Dainty soft mauve daisies from late winter through to autumn and dark green, lacy foliage with a compact, low spreading habit. Evergreen. Hardy. Attracts bees and butterflies. 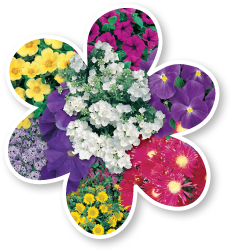 Great for hanging baskets, borders, containers, mass planting and gardens. Height to 30cm and with to 40cm. Prune after flowering to encourage new growth.